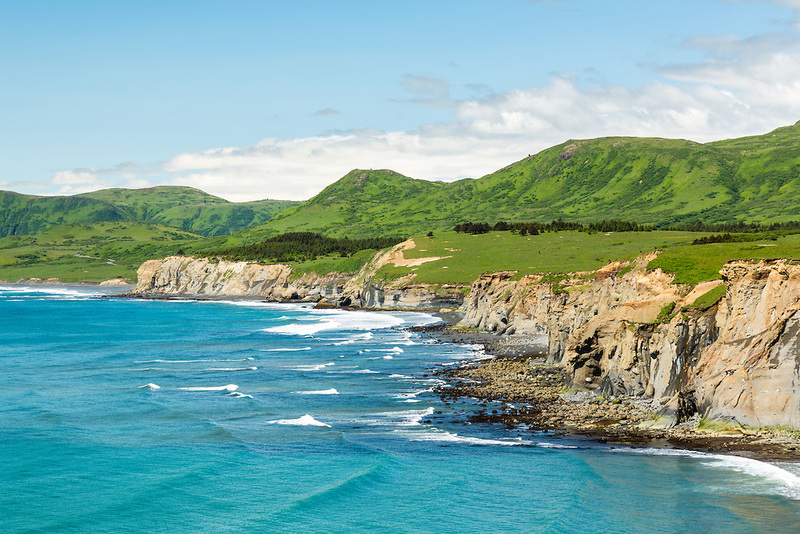 The turquoise waters of the Pacific Ocean contrast with the emerald greens of Kodiak Island along Surfing Beach and Pasagshak State Recreation Site in Southwestern Alaska. Summer. Afternoon.